Updates from ‘Charlet’. Also, meet my lovely brother! I haven’t blogged in a while, and that’s mostly because nothing particularly unfortunate has happened to me lately, which I have to say really makes a nice change. For the last week or so I’ve managed to avoid awkward run-ins with creepy neighbours, and the only strange thing has been the tendency some students have developed when we exchange our ‘Moins’ in the morning, and that is the accompanying wink I sometimes get. Strange, but true. Na ja (more or less ‘Oh well’ auf Englisch), it could be worse. I’d like to start with the title of this post, which you will see, of course (I hope! ), contains a little typo. I discovered this while marking recently, as one of the students had written what he thought was the correct spelling of my fairly common name on the top of his worksheet. Those of you who know me well will know that correct spelling is an important aspect of the many obsessions which I harbour, so much so that many a cold-sweat has been endured due to spelling woes which I may have come across, or indeed committed, which have woken me up during the night. Again, strange, but true. Anyway, I was more perplexed by this spelling error as I’d written my name on the blackboard before the lesson. I guess it really is true what they say- you can indeed lead the proverbial horse to water, but getting it to spell ‘Charlotte’ is somewhat more difficult. Anyway, I found this while I was actually at home, back in England, a few weekends ago. I took the stack of marking with me and managed to get through it all while sitting on the sofa (an actual SOFA! Had been ages since I had sat on anything but my desk chair or a plastic classroom stool. I greatly appreciated the sofa’s cushiony goodness) watching English TV (ENGLISH TV!! Had been a while, too). It was a lovely weekend; short but sweet. 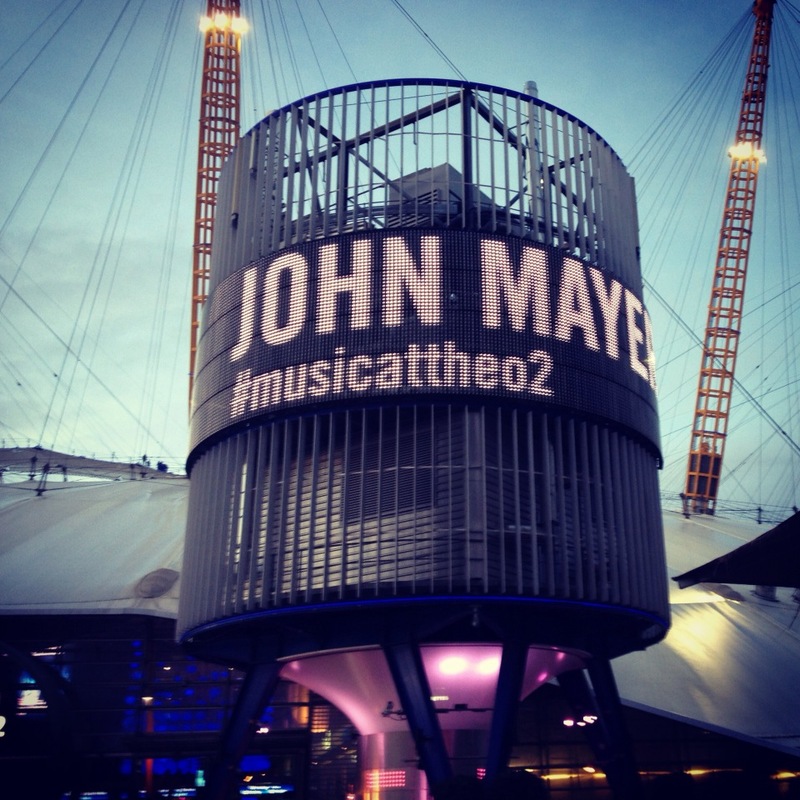 My mum, brother and I went up to London to watch John Mayer at the O2 on the Sunday evening, and I had never been happier to be partially deaf and totally hoarse the next day. Was completely worth it. Speaking of my brother, this is actually the first mention he has had in my blog so far. Having taken the hint while I was at home that he would quite like a mention, he did something the morning I was leaving for Hamburg which ensured he would forever be immortalised in The Brezel Diaries. My flight was at 7am on the Monday morning, which was always going to be killer, given that we didn’t get home from the concert until shortly before 1am (again, totally worth it). But, good egg that he is, my brother, Chris (he does have a name), offered to drive me to Gatwick. So we set off shortly after 5am, when he said he needed to refuel. So, we pulled into the petrol station on the Hog’s Back (no, I didn’t make that up) a few minutes from home, and I was quite happily checking my Twitter and Facebook on my phone, despite the fact that no sane person would have been updating their status at that time in the morning. …before stepping on it and hurrying out of the station forecourt with me in the passenger seat of his purple VW Polo. By this point I was hysterical. I was having visions of men in black stopping me at the airport and taking me in for questioning about an unpaid fuel bill, which I was already slightly worried about anyway, as I was already intending on smuggling 20 sachets of porridge in my suitcase. I was sure that customs would mistake Quaker Oats for cocaine. Absolutely positive. Through my hysteria I managed to warble that I could pay for the petrol, even though I knew that my bank balance had taken a bit of a beating lately. I continued to plead with him to stop and go back, before he looked at me and dissolved into fits of giggles. If you haven’t heard Chris giggles before, just imagine the Wicked Witch of the West if she were six foot two and her voice had broken. He was, of course, being the big brother that he is, and just pulling his little sister’s leg. I am still traumatised from this leg-pulling. The parents later found it hilarious, though. Speaking of traumatic things, one thing I would certainly not advise, should you perhaps be thinking of doing it, is combining the smells of Camembert and Dettol bleach in a small area (namely, my flat). I’d like to add that this was the unintentional and unfortunate result of two separate events one day last week, I had no intention of testing these two scents together. I bought myself a little box of Camembert, but couldn’t finish it, so threw what was left in the bin. That same morning, I decided to put some bleach in the bath to help clear the drains and so on, and washed it all away with the showerhead, before heading to work. When I returned, I was greeted by an assault on the nostrils, which was this particularly vile combination of two strong smells in their own right. And so I poured more hot water around the bath, and the Camembert went out on to the balcony in a bag, where it stayed until today. Today, dear Reader, the strong winds arrived. I have to say that at this point, I’m not actually certain as to the whereabouts of the Camembert. I shall feign ignorance until I have confirmed its location, which, judging by the way the wind is battering my window, may be never. There’s one last thing I want to say, before I leave you in peace. I want to thank everyone so much for the support of this blog- it’s really been quite overwhelming. After all, over 1,000 views and all the nice comments can’t have just been arranged by my Mum, as I had suspected to start with. This is why I thought it appropriate to say here first that I am, hopefully soon, going to start writing what I hope will turn in to a book. I have no idea when it will be finished, but I have an idea for a story, and that’s a fairly decent place to start, I think. I’m using the principle here that some often use when joining a gym: tell everyone you’re doing it, so that you’ve got more motivation to go for it, if everyone knows you’ve signed up. Not even sure if that makes sense, but in my own little world, it does. That’s as good a place to start from as any.